Netanyahu and Kerry have been dealing with the PA official head who has no actual power to speak for all the Arabs calling themselves the "Palestinian Arabs." Actually, they are not from one tribe or country but a conglomeration of all the neighboring states of Israel who came in seeking work in the late 1800's with the Jewish settlers who had previously arrived from Russia. Like the Jews who had never left, there were Arabs who had been living on the land as well and some had even bought property. Most of them had sold their land to the Jews and had taken off for better ports such as Beirut, Damascus or Paris. Fatah was the PLO, the Palestinian Liberation originally led by Arafat . 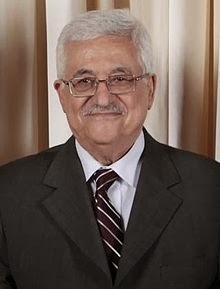 Mahmoud Abbas was elected as their PA (Palestinian Authority) president 10 years ago. He had been elected to serve one term of 4 years. He never left and there has been no other elections. His official term has expired a long time ago. Therefore, he does not have the electoral legitimacy in his own party. 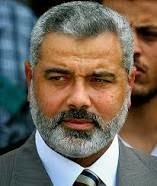 Fatah was grounded in Gaza, but when Hamas, a party of true terrorists won their election there putting Ismail Haniyeh, voted in on February 16, 2006, as their Prime Minister, Fatah was kicked out to live in Judea-Samaria. By rights, he should be finished this February as well, having served 2 full after being voted on only once for a 4 year term. Hamas refuses to sign any peace deal with Israel. They have a charter that calls for Israel's destruction. One can only imagine the threats they were able to conjure up to receive the vote of their people, voting being very new to them. 1.7 million Arabs live in Gaza. 2,100,000 Arabs live in Judea, Samaria and East Jerusalem. 500,000 Jews live there as well. 1.7 million Arabs live in Israel and have Israeli citizenship. Having Abbas speak for all the Arabs of Fatah and Hamas violates the Palestinian Basic Law according to Abu Toameh, Palestinian Arab Israeli citizen who is a reporter for "The Jerusalem Post." . This allows for "constitutional and legislative anarchy in the Palestinian territories, for he has remained in power past his allowed term. He cannot sign a peace agreement with Israel in the name of the "Palestinians" being they are a divided group. Hamas is so violent a group that at a recent gathering of young Arabs in Gaza, he preached that educating the future generation to love death for the sake of Allah as much as our enemies love life should be their motto. It was Golda Meier who had said that peace will come to Israel when the Arabs will love their children more than they hate us. To love death is not the way to bring about peace. To buy into such a philosophy is a sad comment on their culture. We all know we must die eventually, but it is not a normal act to seek death out and prefer death over life, especially when you are just reaching your adult years. This must be why Jews seek out the profession of medicine, to assist long life for all. "May you live till your 120th year" is our wish at birthday events, for Moses lived till he was 120. Palestinians have talked young people, sad people, depressed people and underachievers to become suicide bombers and to seek glory in death. The question is, if the Arabs of Fatah and Hamas were given another chance at voting, would they vote as they had been previously or would they want to choose life and peace? Abu Toameh thinks they should be given this chance and has called for John Kerry to continue to negotiate with Abbas even though his term expired long ago. He would like to see such an election. Since 1948, the Arabs outside of Israel calling themselves the Palestinian Arabs have been brainwashed into destroying Israel. If 20- 25 years accounts for a generation, they have had almost 3 generations brought up to think this way. Gazans have been under the most violent philosophy so I would think that some may want peace by now, but that the majority would vote as they did in 2006. This way of thinking has become their religion, and they do not love their children enough to stop hating Jews. It is the Arabs of Israel who have acclimated to living with Jews and finding out it's not like living with lions or tigers but that the law includes them as well, so they have rights and freedom that neither Fatah or Hamas have in life.